Win a print by Manuel Amorim! Manuel Amorim, Nuit Mauve, woodcut, 22.75 x 14.75 in., 2007. You could win a work of art by Manuel Amorim (b. 1950)! Enter our free raffle for a chance to add his woodcut Nuit Mauve to your collection. Fragmented and existential, the Lisbon-born artist’s work centers on shadowy silhouettes moving solo through the universe. To enter, simply subscribe to our email newsletter between today and Friday, May 11th. We’ll announce the winner next week. More art by Manuel Amorim. 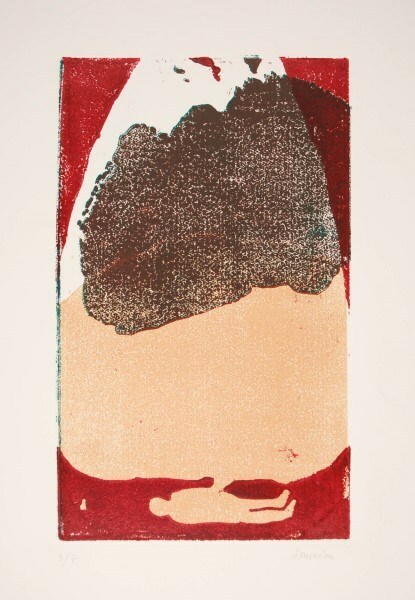 Manuel Amorim, Four Eyes, woodcut, 23.75 x 15.25 in., 2007. Manuel Amorim, Em-Bas, woodcut, 15 x 9 in., 2007. Manuel Amorim, Duex TeTes, woodcut, 23.25 x 13.25 in., 2007. 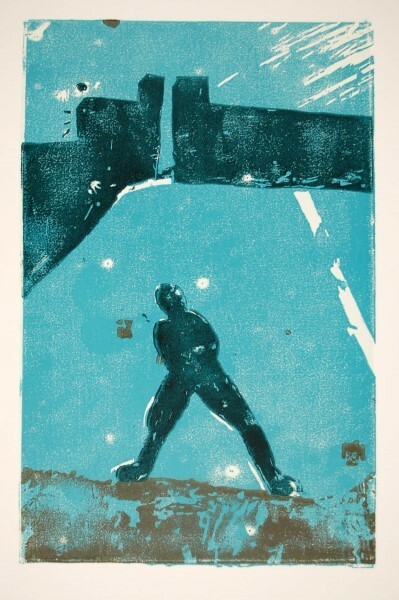 Manuel Amorim, Les Murs, woodcut, 20 x 13 in., 2007.